There are two types of hikers in this world; those who wear buffs and those who don’t. I fall into the former category and unless it’s a short day hike I will carry two Buffs on every hike, one wool Buff and one Original Buff. BUFF®, is short for bufanda, which means ‘scarf’ in Spanish – who knew? This is one of those products that is produced by a number of different companies and goes by a number of names but whoever produces it people tend to default to the name ‘Buff’ which is produced by the US company of that name. As you can see from our product rating score this is one small but very special piece of equipment which is hard to find any real fault with and one I rate as my most useful/versatile piece of equipment. My main use for my Wool Buff is as a hat. 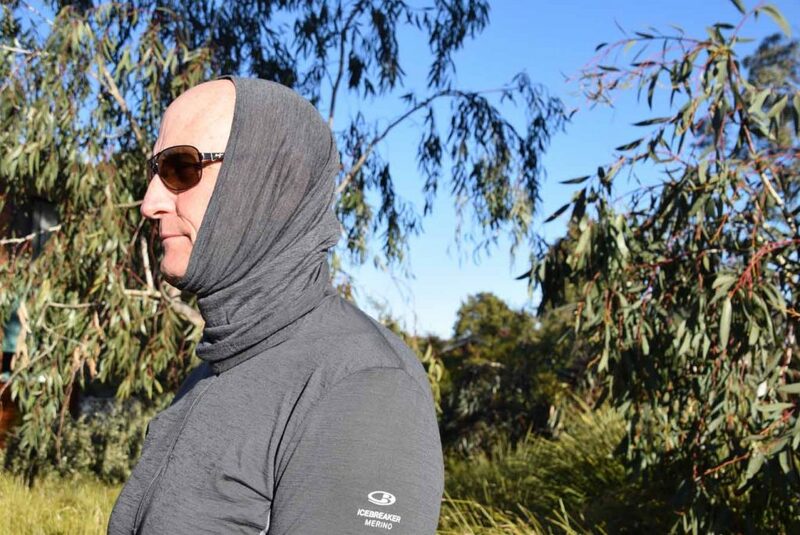 I will use this through Canberra’s cold winters. While we don’t get snow (usually) it can get down to temperatures as cold as -9° Celsius. 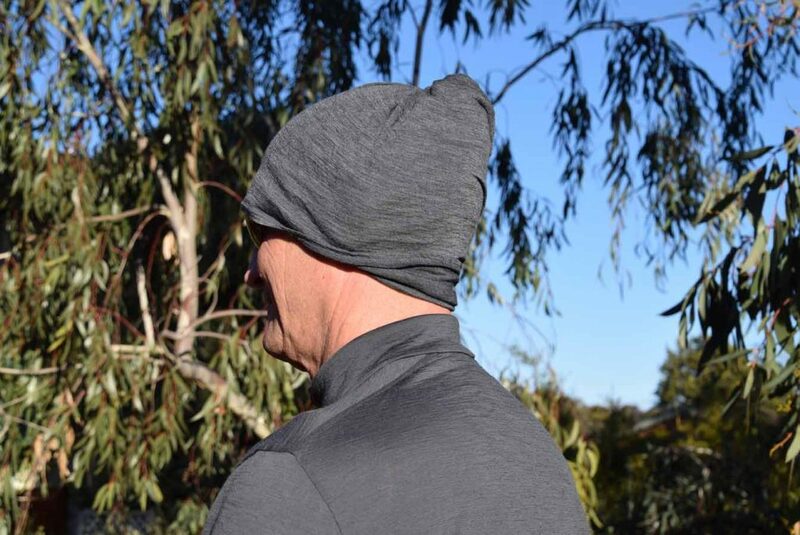 In overcast and windy conditions I will wear my Wool Buff instead of a peaked cap which tends to blow off when windy. 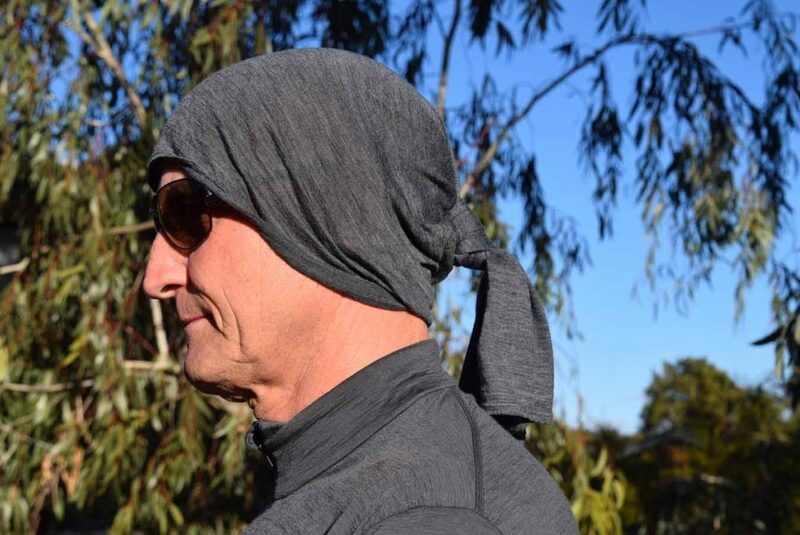 During really hot conditions I will often wear my buff in conjunction with a peaked cap to provide that extra sun protection which is crucial to those of us who are ‘follicle-y’ challenged (i.e. bald). If you’re hiking in really dusty conditions it makes a great dust mask. 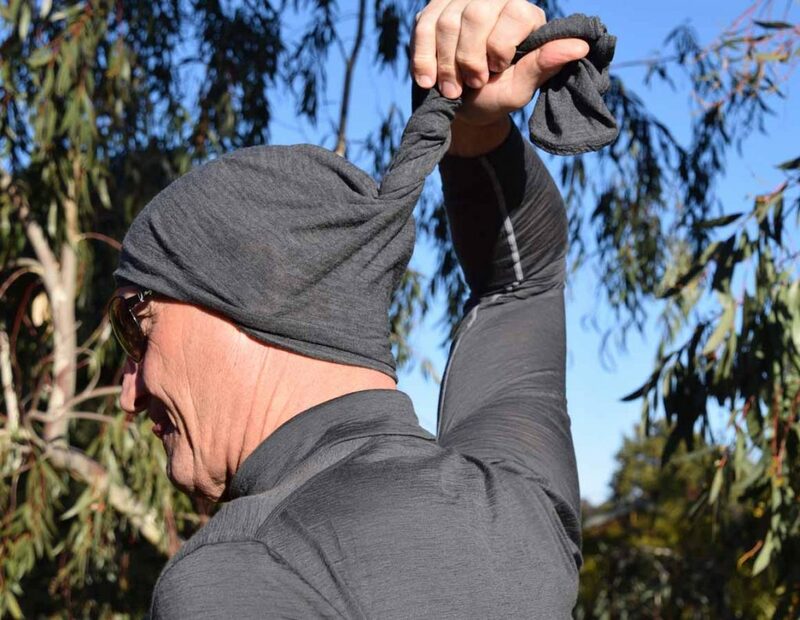 If it is really hot, you can soak the Buff in water and it will help cool you down either around your neck or over your head. There is no end to the uses for this handy little item and for a total weight of under 50 grams this is probably the most versatile piece of equipment I own. 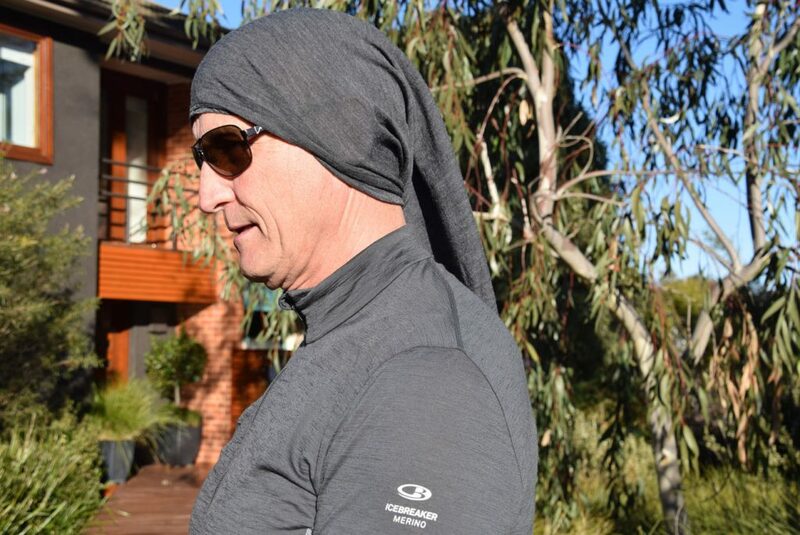 I am in the minority as a male Buff wearer, at least in Australia, and while we exist we are a rarity with most wearers using them as neck protection. 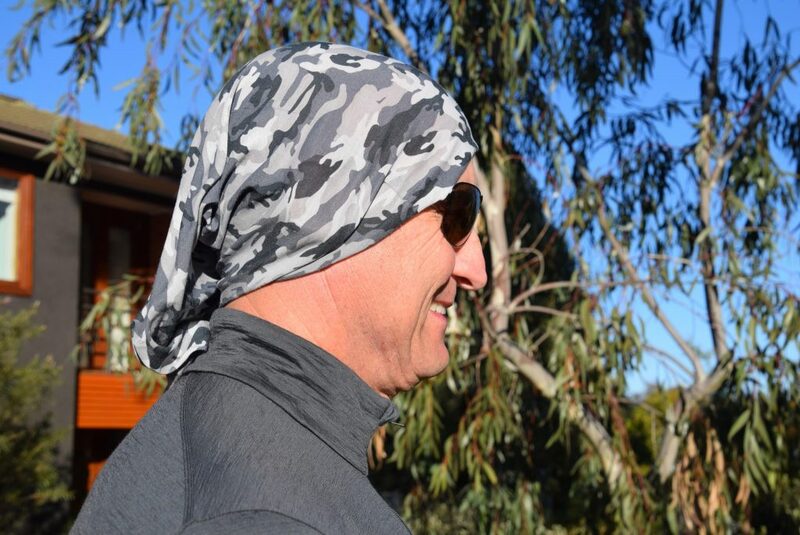 I really don’t care what it looks like and will wear my Buff to work (it looks great with a suit). 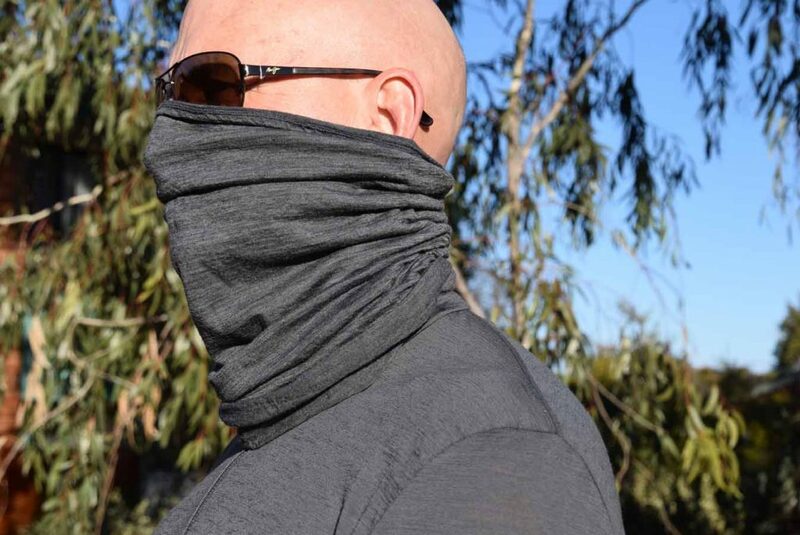 For me its all about function and the Buff has that in spades and at a relatively cheap price!